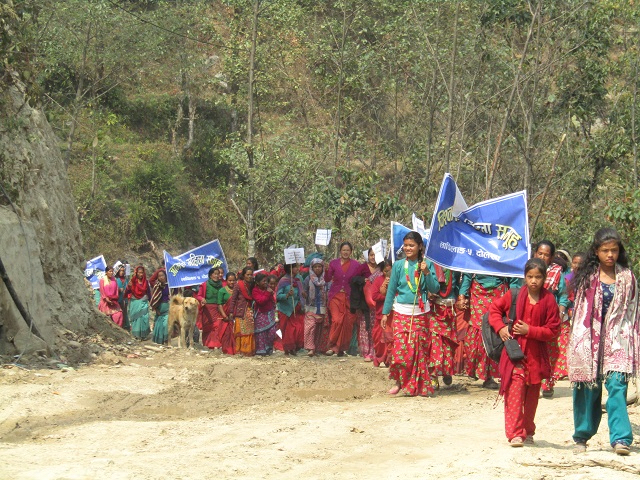 Follow ETC on Facebook, Twitter, and Instagram (@ETC_Nepal). 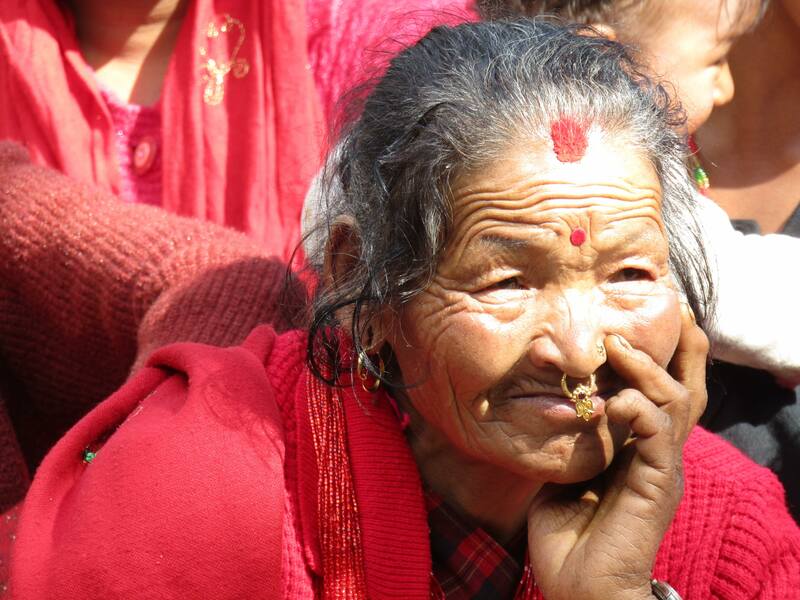 Please also visit our YouTube Channel to view our short (less than three minutes each) videos! 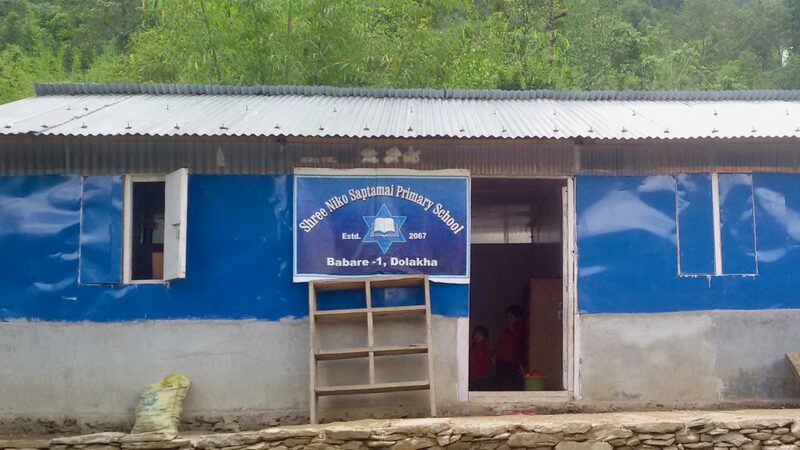 Click on any image to see a larger version and to read the entire caption. 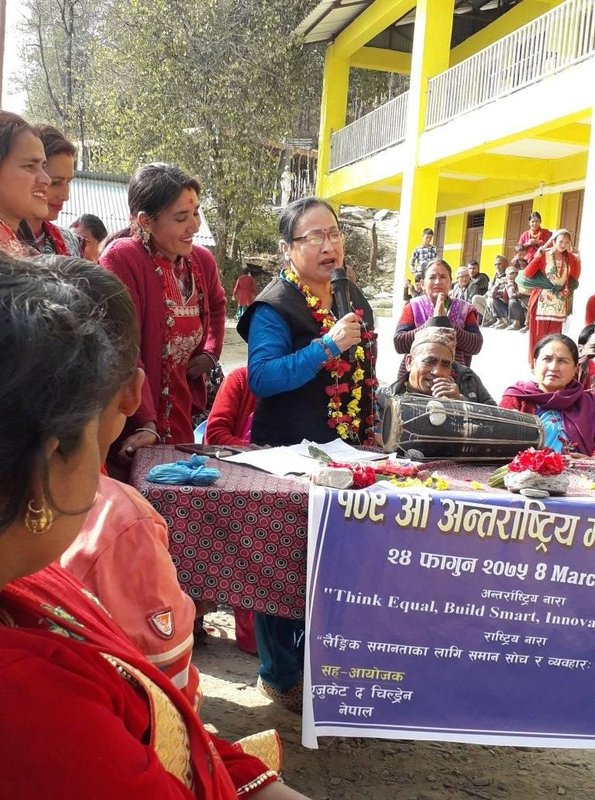 Sita Maya Nepali of Lambari Women's Group listens intently at the first annual general meeting of the new cooperative, Shree Shabda Uddeshya SACOS Ltd., formed by combining her women's group with others in her area. 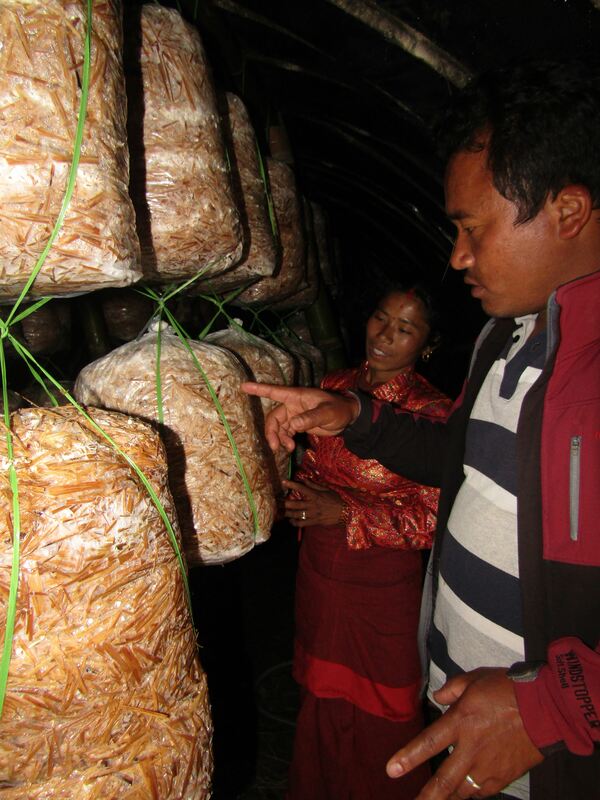 Kumar Pahari, ETC Agriculture Technician, consults with five members of Gurans Women's Group in Lamidanda who are learning to grow mushrooms. 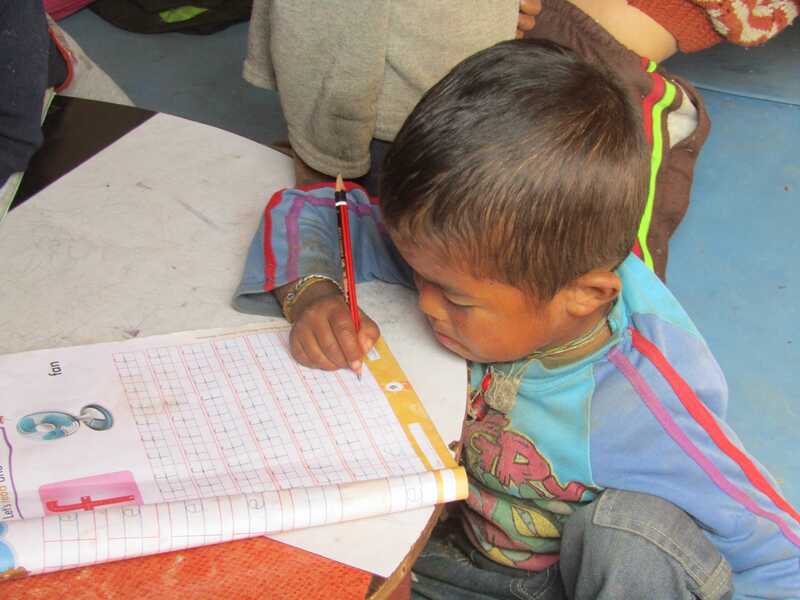 This little boy's classroom at Balambu Lower Secondary School has received furniture and supplies courtesy of ETC. 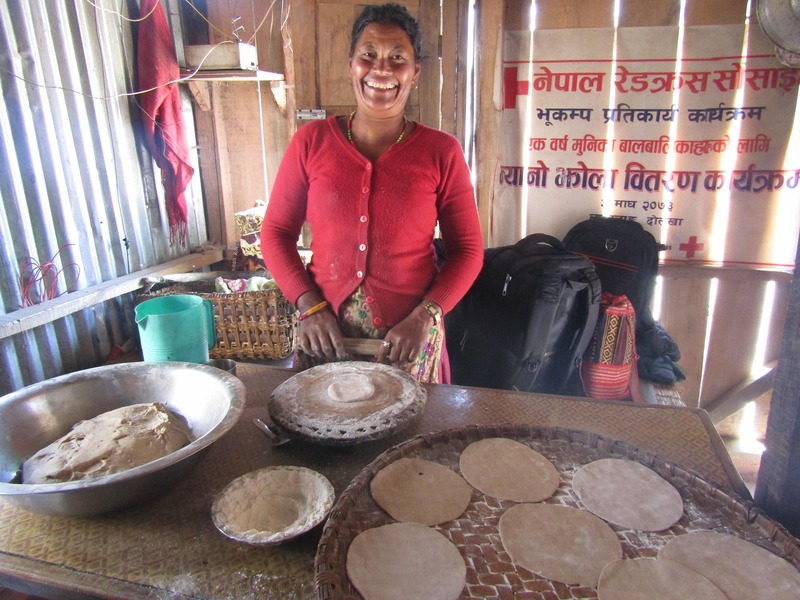 She is a member of Sayapatri Women's Group and now runs this food/baking business in her village. 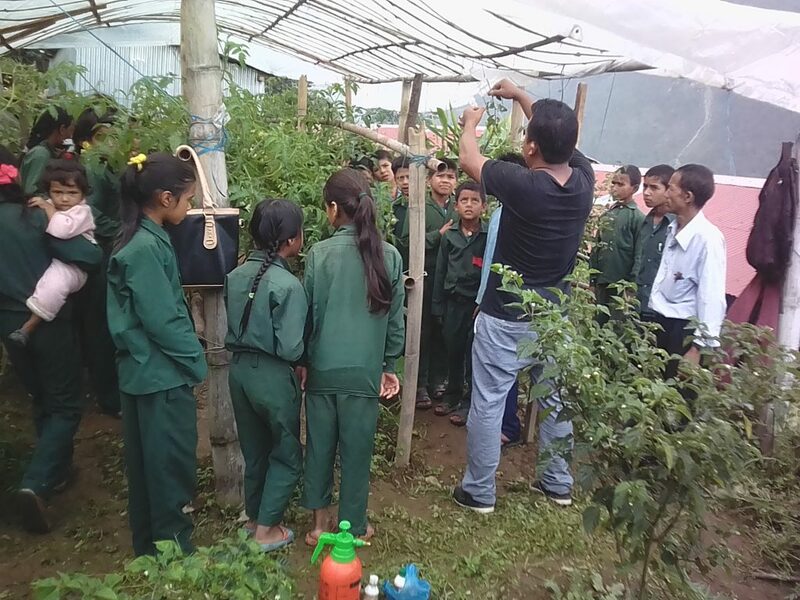 Kumar Pahari, one of ETC's staff agricultural specialists, explains to Milijuli Basic School students how to use an organic pesticide in their school garden. 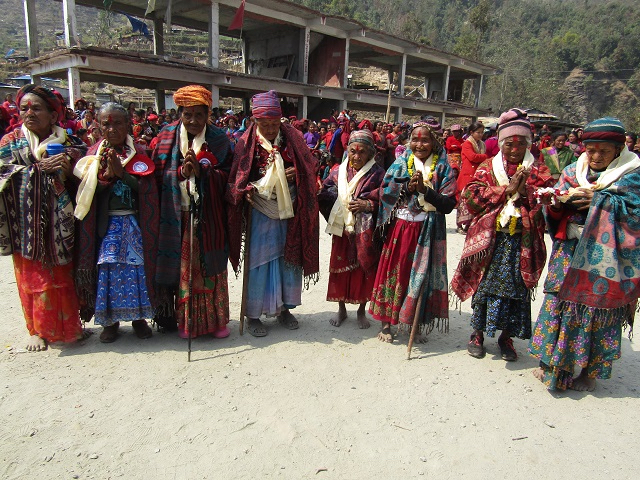 These women were honored at ETC's International Women's Day celebration on March 8th. 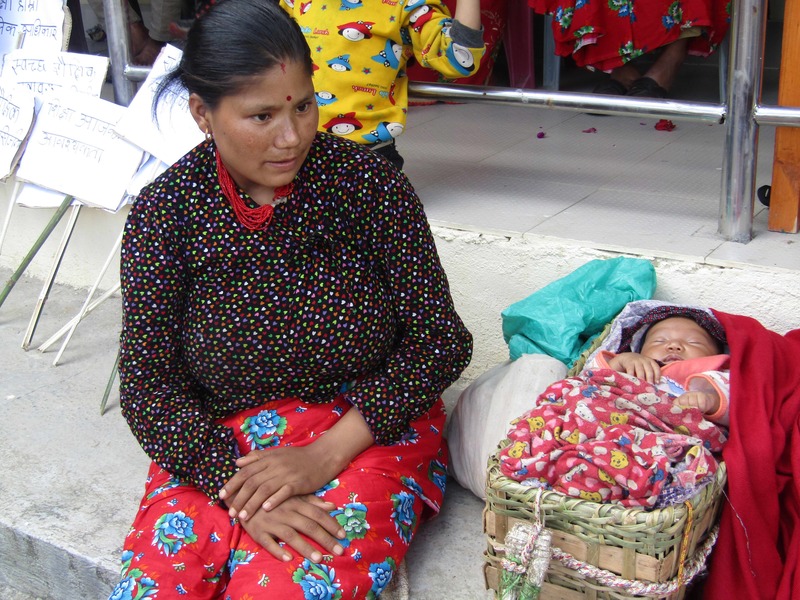 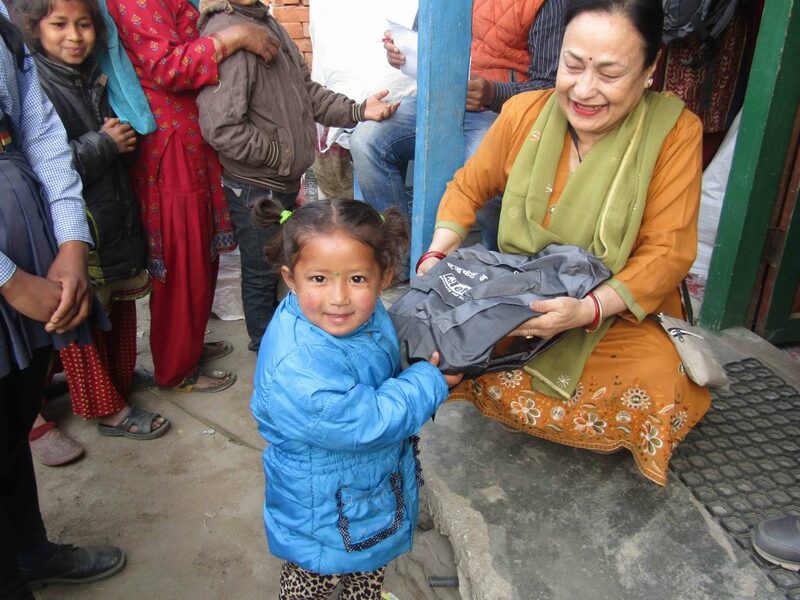 ETC provides support for one child of each women's group member to attend school. 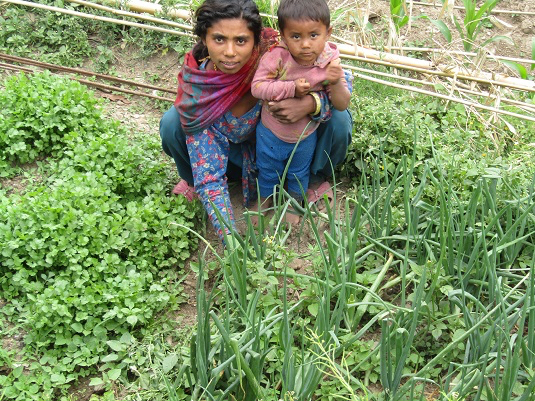 Bimala Thami (Siddhabarak Women's Group member) keeps up her family's thriving kitchen garden. 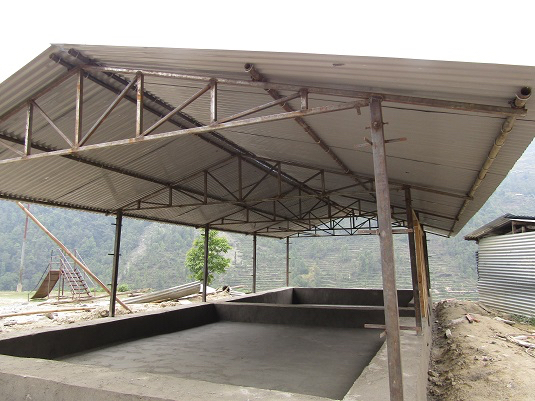 This ETC-supported PLC (Permanent Learning Center) is under construction at Gujarpa Basic School in Lapilang. 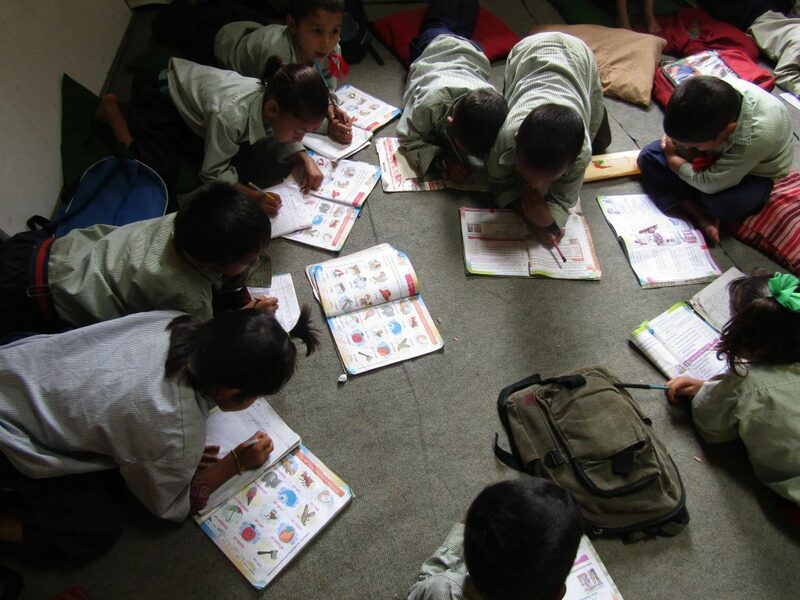 These young students at Jalpashwori Primary School are doing their workbook assignments. 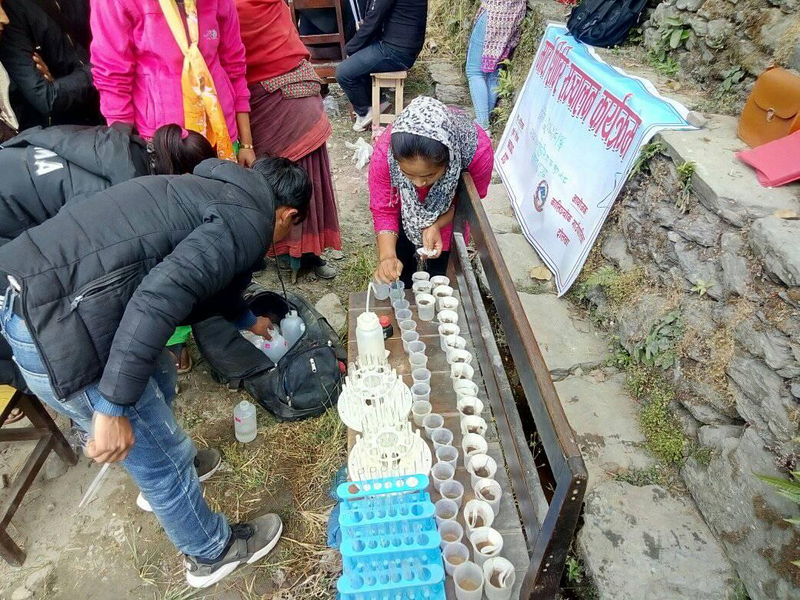 This activity - organized by Kalinchowk Rural Municipality in conjunction with ETC, CWIN, and Namsaling - helped farmers learn more about the qualities of their soil and how to work with it to grow more and better produce. 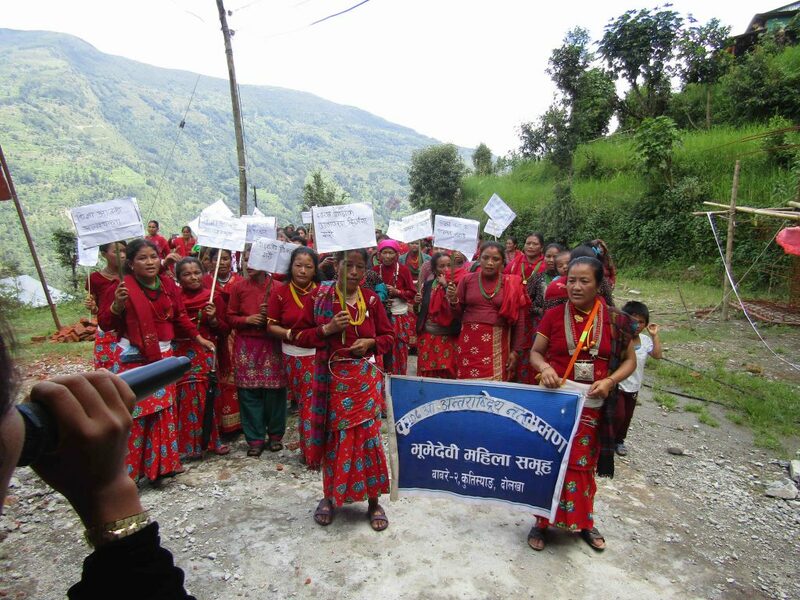 Mr. Bin Kumar Thami, President of Kalinchowk Rural Municipality, participates in the inaugural annual meeting of the new women's cooperative in Lapilang, formed from 26 ETC women's groups. 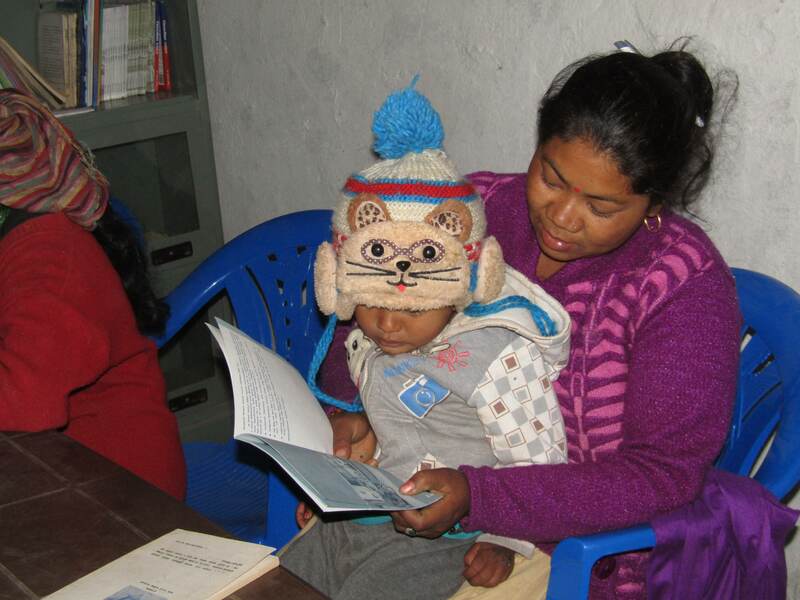 Champa Thami, Niko Utthan Women's Group member, reads a book with her child at the new Community Learning Center in Babare. 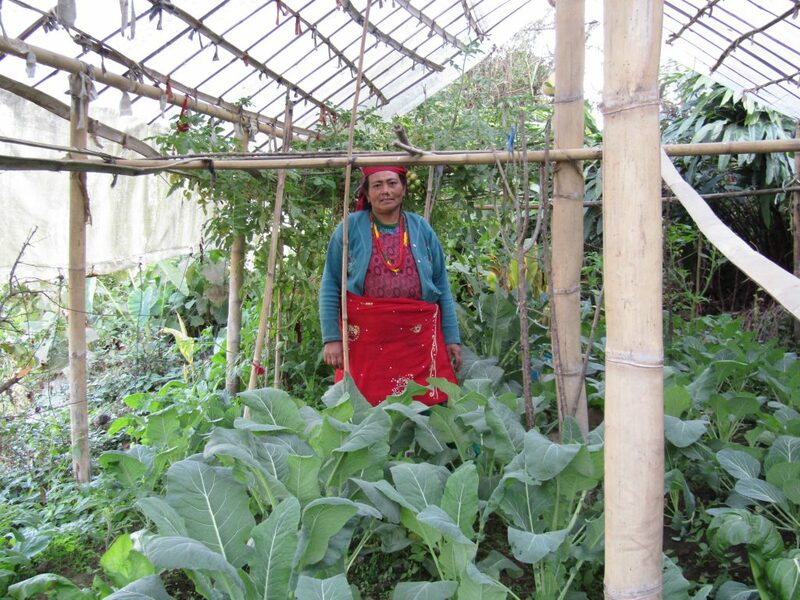 Hasti Maya Thami of Bhume Devi Women's Group shows us how well her garden is doing! 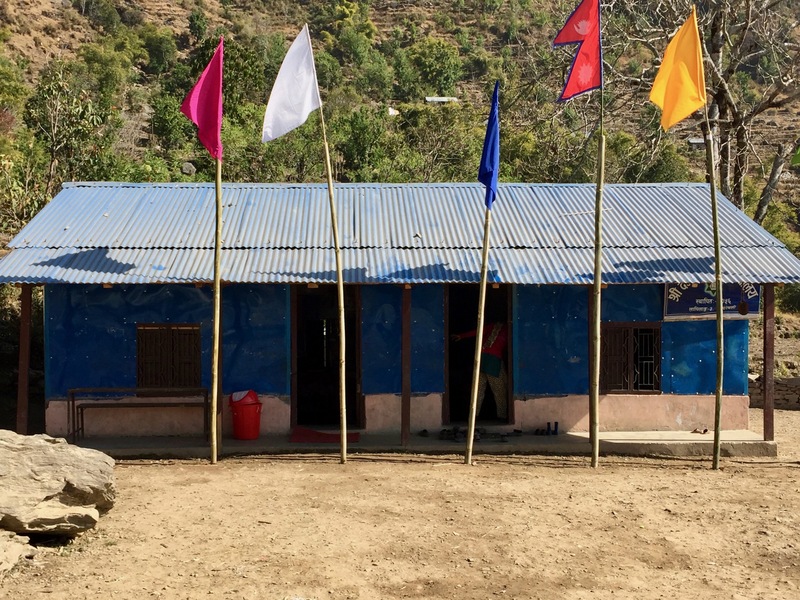 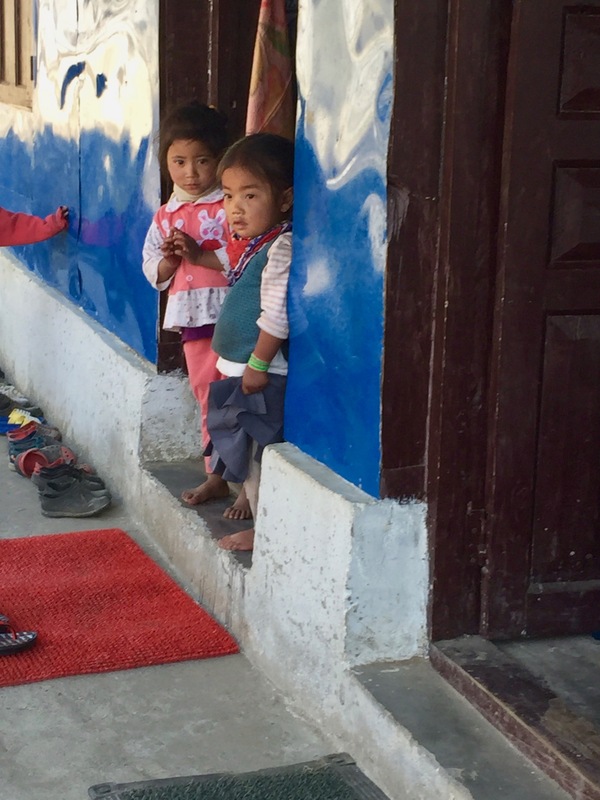 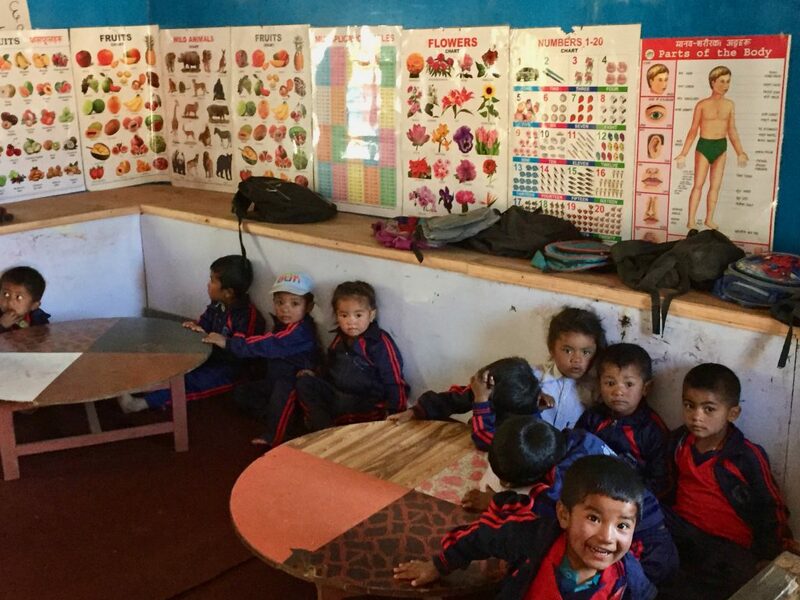 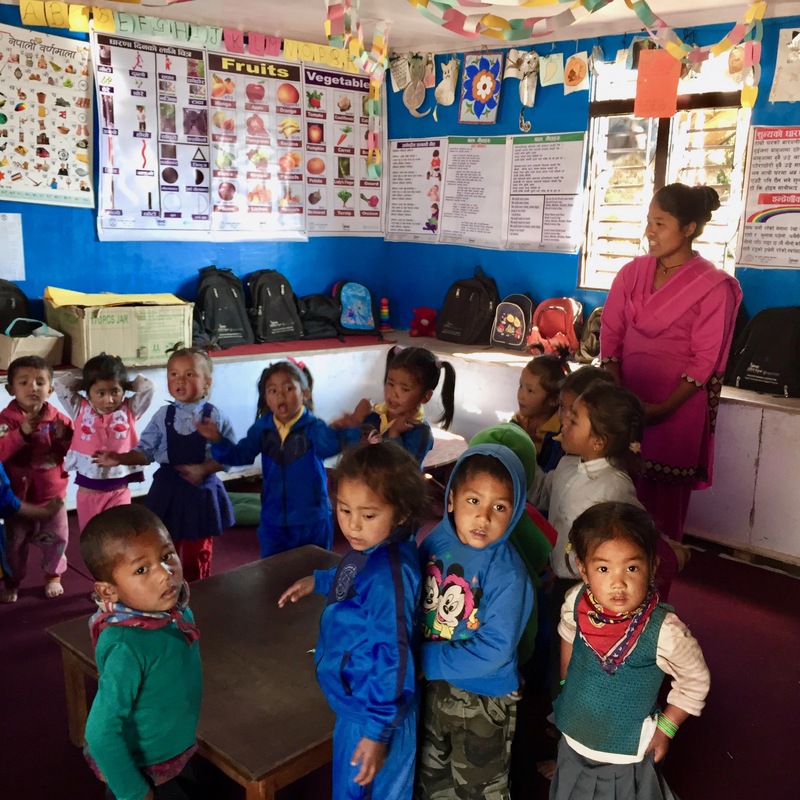 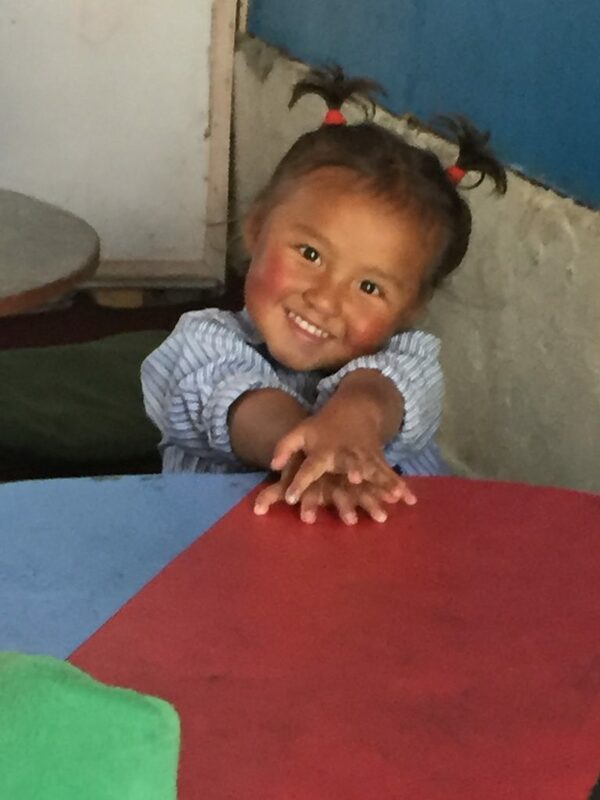 The following photos are of new classrooms constructed and furnished/supplied through the generous support of the Nepal Center of North Carolina.